As its matronymic subtitle suggests, Trickster, My Beloved is a collection of devotional poems for Loki, written by Elizabeth Vongvisith and published by Asphodel Press. In her introduction, Vongvisith describes the book as the fulfilment of an oath, identifying works of heart, mind and hands as some of the best offerings that can be made to the gods. It is a physically slim offering at only 60 pages, but a profound one nonetheless. Published in 2006, a lot has since changed for the public view of Loki, with his profile rising dramatically, as any Marvel-tainted search results on Google, Tumblr or DeviantArt will testify. More pertinently, the Troth this month rescinded their ban on the hailing of Loki at Troth-sponsored events, suggesting a certain degree of rehabilitation for the troublesome god. The Loki in these pages doesn’t necessarily seek the kind of respectability offered by the Troth, or the fame, fanfiction and silly helmet that comes courtesy of Tom Hiddleston (had to Google to check the correct name, naturally), being instead more mercurial and capricious. As a godwife of Loki, there’s a certain degree of intimacy in Vongvisith’s writing, which helps that air of devotional fervour. Loki is presented as a lover and constant companion, a presence whose spirit can sometimes seem almost all consuming, creating words that are redolent of the fervid depths evident in some Hindu religious devotional material. Vongvisith doesn’t shy away from Loki’s other wives, though, and has poems for both Angrboda and Sigyn. In Victory, she addresses Sigyn as her Lady of Endurance, an underappreciated figure with hidden strength and significance. Meanwhile, in Angrboda’s Lament, Vongvisith has Angrboda relate key moments of her and Loki’s interactions with the Æsir, ending each verse with a plaintive folksong-like refrain of They will take away my love, and bury him, until it concludes with the bittersweet variation They have taken my love, and buried me with him. The sense of personal loss in Angrboda’s Lament and Victory is something of a trademark of the poems included in Trickster, My Beloved, and occurs again, in its most striking and effective manner, in The Price. Here, Vongvisith addresses Loki, describing as a seer how his children were taken from him and how the intestines of his own son were used to bind him, all drawn in heart wrenching detail that disintegrates into paroxysms of apoplectic rage. The ties familial that are hinted at in the poems for Angrboda and Sigyn are also found elsewhere, with Vongvisith addressing other members of Loki’s family. In For the Lady of the Leafy Isle, she speaks to Loki’s mother Laufey as any daughter-in-law might, testifying to her strength and thanking her for the welcome into her house and family. Similarly, For Surt is a paean to the fire giant who here, and in other books from Asphodel Press, is identified as the foster-father of Loki. And finally, In the Dark, one of the longest poems here, describes an underworld encounter with Loki’s daughter, Hela, in language so vivid that it practically acts as a guided visualisation. Although they are not necessarily intended as such, the clear imagery of In the Dark, or the invocatory tone of For Surt and some of the poems addressed directly to Loki, all reveal a potential for ritual or liturgical use. Words written in devotion, rather than supplication or as a wand-wielding threat, seem so much more numinous and valuable to personal practice. Trickster, My Beloved is presented purely as text with not a single accompanying illustration, which is a slight shame, as the evocative imagery could easily have sparked a few images from any talented illustrator. 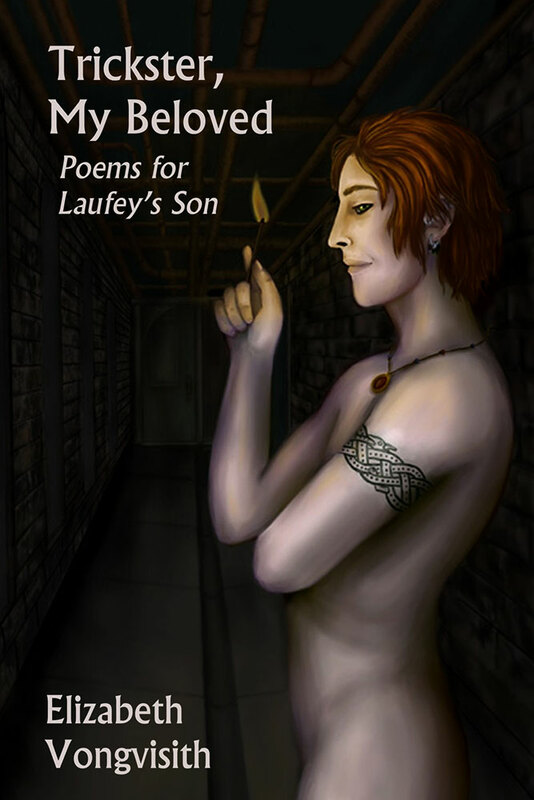 One such illustrator, Milwaukee-based Grace D. Palmer, does provide the cover image, a painted image of a naked Loki, single lit match in hand, presumably about to be, in the words of the song, burning down the house. The layout follows Asphodel’s familiar style, with nothing exceptional but a still solid and functional look. 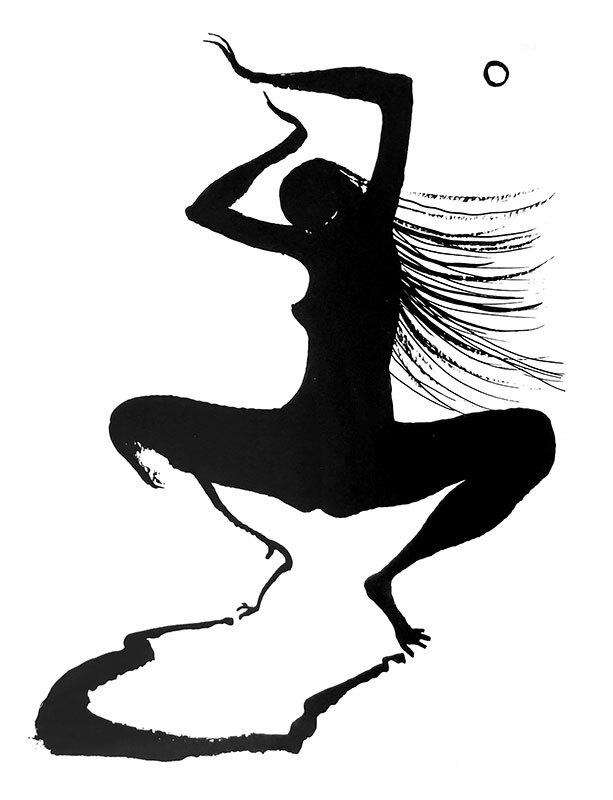 If you didn’t already know, your humble reviewer is quite the fan of Marjorie Cameron, with the Apsinthion collaboration between Gydja and Emme Ya giving aural form to much of her work and magickal cosmology. Songs for the Witch Woman is a collection of poetry by Jack Parsons, dedicated to Cameron, and illustrated throughout with her evocative imagery. Previously, as far as I’m aware, only publically and partially available in the September 1974 issue of the English Thelemic journal Sothis: A Magazine of the New Aeon, the thought of a release like this was very much a fevered Babalonian dream. This version of Songs for the Witch Woman represents a typically exhaustive edition by Fulgur, with the poems, drawings and diary entries published together for the first time, along with a complete facsimile of the original 1950s notebooks, and contextual commentaries from William Breeze, George Pendle and Margaret Haines. Parsons and Cameron’s currency has risen a lot of late, no doubt partially due to the two biographies on Parsons and Spencer Kansa’s one on Cameron. No longer quite that heretical fool that Crowleyan orthodoxy consciously or unconsciously attempted to paint him as, the father of American rocketry has now even had his life recently immortalised in the golden age of on-demand video; you can rest assured we won’t be watching that, of course. The poems that comprise Songs for the Witch Woman were written by Parsons between 1946 and his death in 1952, and act as both a paean to Cameron, and an explication of the magickal cosmology they developed, the Witchcraft. Babalonian and sabbatic imagery abounds, with goats, horned moons, and voluptuousness up the wazoo. Parsons writes with a clear, evocative poetic style, with little baroque ornamentation and a pace and structure that means many of these poems could act as effective ritual accompaniments. 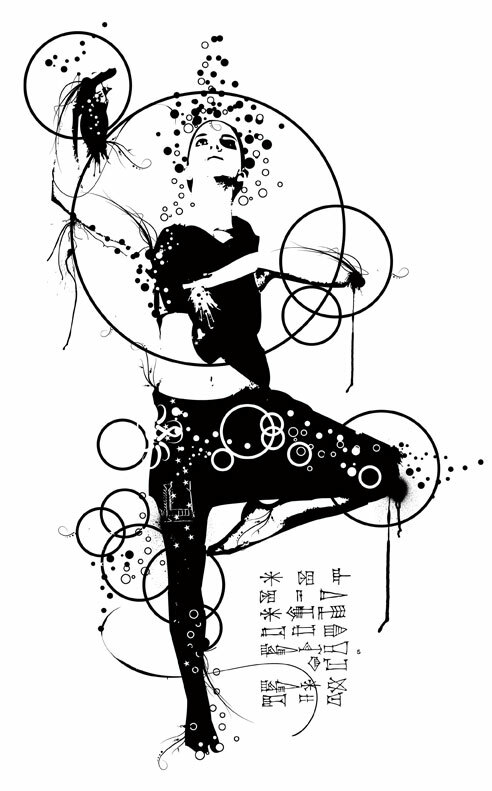 Against some of the poems, are twenty pen and ink images by Cameron, exhibiting a staggering control over line and form. Her style is entirely her own, all evocative economy of line and space, though there are obvious touchstones including Aubrey Beardsley’s stately royal figures, Egon Schiele’s jagged bodies, and somewhat prochronistically, Peter Chung’s aberrantly sensuous elongated flesh. Austin Spare could also be mentioned as a de rigueur comparison, with both artists sharing an interest in magickal bodies, though there’s a more angular and visceral quality to Cameron’s hand, rather than Spare’s ephemeral phantasmagorical forms. Cameron’s minimalist skill is particularly evident in the images accompanying Aradia and Aztec where the amount of strokes needed to construct them can be counted on two hands. In others, Cameron, plays with the space on the page, in Autumn placing an obvious simulacrum of herself in the lower half of the page, with her hair rising up like flames into the space above her head. Something similar occurs in Passion Flowers, where the hair of a supine figure flows down and across the page, cascading from upper right to lower left. Amongst the elongated female forms, of which there is an abundance, are images of Parsons, rendered unmistakable with Cameron’s economy and her evident ability as a caricaturist, able to distill someone’s essence into a few lines. Handsome and heavy-browed, he appears regal in the finely and confidently crafted images accompanying The Fool and Merlin, while his shock of dark hair is rendered matted in ink spatter amongst leaves and spider web in the qliphothic Neurosis. He can also be glimpsed in the ithyphallic eponym that accompanies Pan, or as the Sorcerer whose body seems to disintegrate amongst the stars he wields. The digitised pages of the notebook are reproduced at 90% of their original size and include full page illustrations against some of the entries. In the case of some poems, such as Pan, this provides an additional image to illustrate the text, while others are the companions to previously unaccompanied poems. The style of these is less refined than Cameron’s black ink images, replacing the stark contrast of line and space with thicker strokes and washes of colour against the ecru background of the paper. 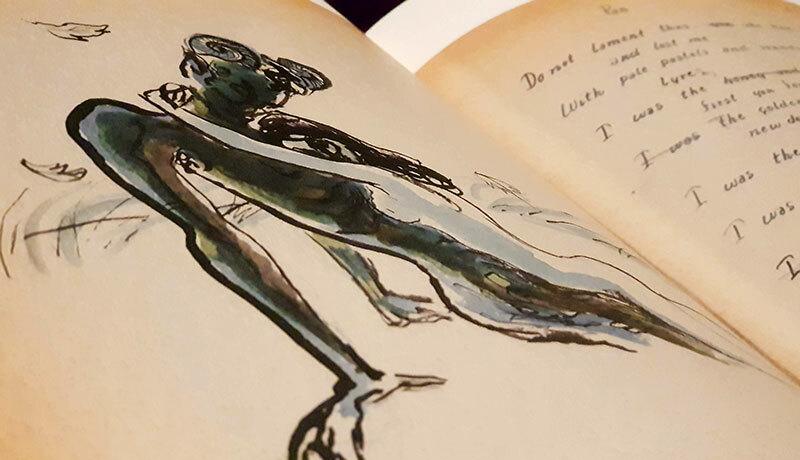 The images and words of Songs for the Witch Woman are bookended with excerpts from Cameron’s diary, presented as both transcribed text and as the original handbook scans. Written a few months after the death of Parsons, the words were received as part of magickal workings, so for those inclined to adherancy and devotion, they have the status of holy writ (guilty). This is especially so when the digitised originals allow one to see Cameron’s hand, her script becoming larger and more emotive as pages past. 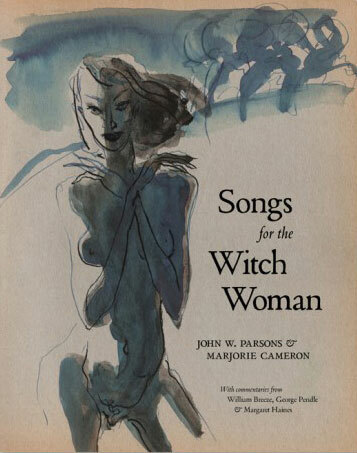 Songs for the Witch Woman is an invaluable resource, whether it be as simply a documentation of the work of Cameron and Parsons, or as a record useful for further research. 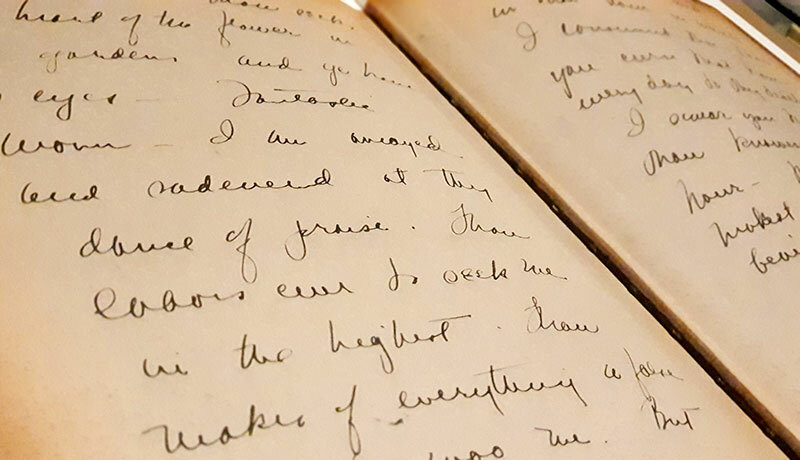 Both the songs themselves and the entries from Cameron’s diary are rich in information and imagery ready for analysis, extraction or elaboration. Fulgur are to be commended for the thoroughness of their approach, with the large format and extensive scans of the original pages doing the work immense justice. Songs for the Witch Woman is available in a limited edition hardback with 176 30.5cm x 24cm pages on 135gsm Italian paper, bound in blue cloth bearing the image used for Danse on the cover in black and a debossed silver moon on the back. It is completed with a dust-jacket bearing the first image from the original release on the front, and a reproduction of the words to Witch Woman on the reverse. The edition is limited to a fitting run of 1560 copies, 1390 of which are the regular edition, 156 of which are bound in quarter morocco leather, and fourteen of which are bound in full morocco. 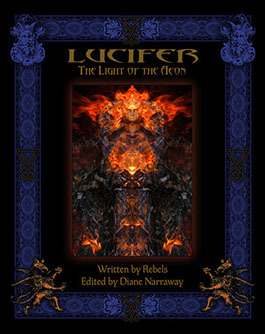 The popularity of Lucifer seems to be surging of late with the recent compendium The Luminous Stone: Lucifer in Western Esotericism from Three Hand Press, a similar anthological work on its way from Anathema Publishing, and, of course, Peter Grey’s significant 2015 opus Lucifer: Princeps; not to mention the surfeit of Lulu and Createspace generated tomes that fill your Amazon recommendations with their appalling cover art, clunky sigils and poor typeface choices. Black Moon Publishing’s foray into this tumescent Luciferian field brings together a vast array of contributors, sixteen in all, variously presenting essays, poems and a smattering of images. The first section, Awakenings, compiles a multitude of contributions within a relatively slight space, mostly short, personal anecdotes outlining people’s occult journey’s within which Lucifer, in some form, has played a role. There are nine of these in all, and at the beginning they are largely interchangeable, with similar writing styles depicting similar journeys. There’s often an estrangement from organised religion, which is followed by an encounter with an, at first, ambiguous supernatural figure whose identity is later confirmed to be Lucifer. Speaking, erm, personally, the personal anecdote has never done much for me as a contribution to devotionals like this. While I realise that this approach is, in some ways, the very definition of a devotional, it seems to lack something when that experience isn’t expanded upon, and given context within a greater anthropological or mythological framework. Otherwise, it remains just a personal testimony, the equivalent of a fireside ghost story, which the reader has to either accept or dismiss; and as a somewhat pragmatic reviewer of books about magickal shenanigans, my default setting is the latter. The contributions in Awakenings are often short and it isn’t until the second section, Love, Light and Laughter, that one realises why this is, with many of the stories now picking up from where they left off. Proof, mayhaps, that I didn’t read the introduction too carefully. This is not an entirely satisfactory device, given that the somewhat interchangeable nature of the contributions makes it hard to keep track of where the narrative is up to. And then there’s the additional wrinkle of perhaps not really wanting to hear anything further from a particular contributor after the introduction they’ve made in Awakenings. Because of how integral this multiple section structure is, it is worth mentioning the names of the nine contributors who reappear in this capacity: Dianne Narraway, Geraldine Lambert, Laurie Pneumatikos, Sean Witt, Eirwen Morgan, Richard K. Page, Jaclyn Cherie, Rachel Summers and Teach Carter. This format ultimately makes Lucifer: The Light of the Aeon something of a struggle to get through. Personal reflections of people’s experience with organised religion, and their all too similar awakening to their inner rebel, are just not engaging. On top of that, the rebellion feels rather entry level and earnest, with nothing truly transgressive or adversarial, and just an all too obvious kicking against the pricks of an equally dull brand of Christianity. It is only when this personal formula is abandoned that things begin to pick up and there’s more of a sense of focus. In Angels and Daemons, the cast of authors take a more exegetical approach with various, less-anecdotal explanations of Lucifer. These do largely cover the same ground because there’s only so much ground to cover when it comes to exploring Lucifer’s source material. These contributions still suffer, though, from the book’s structural device, feeling piecemeal in some instances, while in others they’re cast adrift from the anecdotal context of the previous two sections. The other issue that arises here is that the less than stellar quality of some of the writing, which may have been protected by the personal nature of the previous entries, is laid bare when broader ideas have to be presented. In one piece, non sequiturs abound, conclusions are questionable, and facts are fuzzy: there’s a nonsensical reference to “biblical gnostics,” whoever they’re supposed to be, and a lazy, or at least poorly articulated, claim that ‘gnostic’ means ‘knowledge,’ when obviously it’s ‘gnosis’ that means ‘knowledge,’ not the adjective form. The remaining four sections continue this same formula of slices from various contributors, focusing successively on blood and fire (identified as two of Lucifer’s more famous associations), magick (with a variety of broad accounts of people’s personal approach to ritual praxis, followed in some instances with specific exercises), questions concerning Lucifer’s consort (straw poll suggesting most contributors don’t see him as having one), and what could be described as concluding thoughts and miscellany. Naturally, these various shards range in quality, with some of the writing coming across as if they were written as an obligatory assignment simply predicated by the theme of that section. This is particularly noticeable in the discussion over whether Lucifer has a consort, with many of the authors writing as if it’s the first time they’ve pondered the question, and therefore spending the length of their contribution thinking out loud in print, as they try to work it out. In all, the writing in Lucifer: The Light of the Aeon appears to come from a very personal place. There are no half-hearted adherents here, with a sense of a great deal of affection and devotion being paid to Lucifer. Your mileage may vary as to what weight such sincerity carries for you, but based on the effusive reviews on Amazon, it certainly works for some people. As with the previously reviewed Women of Babalon: A Howling of Women’s Voices, I have reservations about the trademark Black Moon Publishing style with its 8×10 dimensions and use of wide decorative borders on every page. The dimensions make the book unwieldy, cumbersome to hold, and not conducive to being read, especially with the additional weight that comes from being over 300 pages long. This length is, no doubt, exacerbated by said border, which, whilst appealing in an over-the-top gothic aesthetic sense, does limit the amount of words that can appear on the page. It also overwhelms the occasional graphic contributions, which could all benefit from being reproduced larger and free of the competing rococo. Lucifer: The Light of the Aeon has a companion volume, Songs of the Black Flame, also published by Black Moon Publishing, with many of the authors featured here returning for what is largely a compilation of Lucifer-themed poetry and artwork. It’s full disclosure time yet again: I created the cover art for this devotional from Asphodel Press, and also contributed some internal illustrations. So, as ever, proceed with due caution as we venture into the world of potential bias and nepotism. With its eyes turned towards Mesopotamia, Into the Great Below is a change of theme for Asphodel Press and its usual, albeit by no means exclusive, focus on the Northern Tradition; although the names of many of the contributors, including that of editor Galina Krasskova, will be familiar from other Asphodel works. This is addressed in Krasskova’s foreword in which she identifies herself as Heathen but details her early magical history in the Fellowship of Isis where a mentor’s devotion to Inanna had a lasting influence on her ritual and devotional practice. This book, then, is considered by Krasskova to be the beginning of a repayment to Inanna, and to her sister, Ereshkigal. 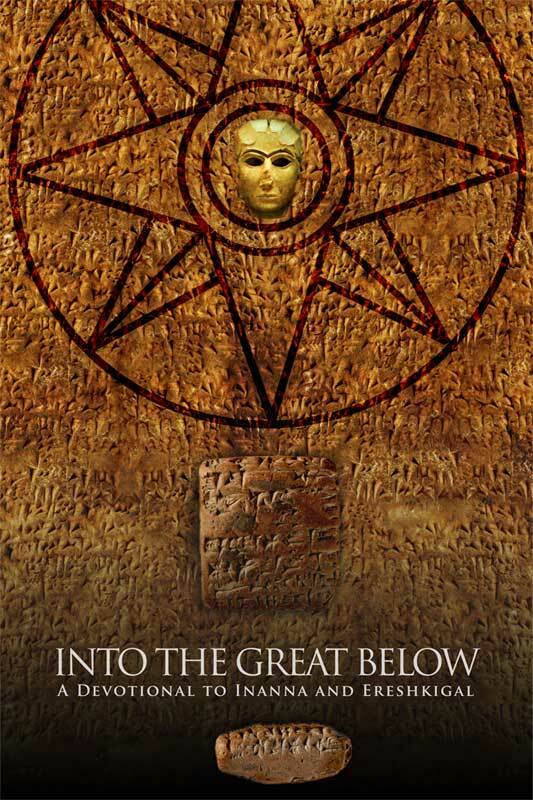 Into the Great Below is divided into three sections: devotions to Inanna and Ereshkigal, a collection of rituals for both goddesses, and prayers to other Sumerian deities. Rebecca Buchanan provides the lion share of the prayers to Inanna and Ereshkigal, with short little vignettes addressing various aspects of both goddesses. Her work is joined by contributions from Elizabeth Vongvisith, Raven Kaldera, and others. Perhaps the strongest piece from this section is provided by the enigmatically anonymous J.D. with Katabasis, in which they detail an initiatory journey into the underworld, mirroring Inanna’s descent through seven dismembering tiers, before being remade and reborn by Ereshkigal. 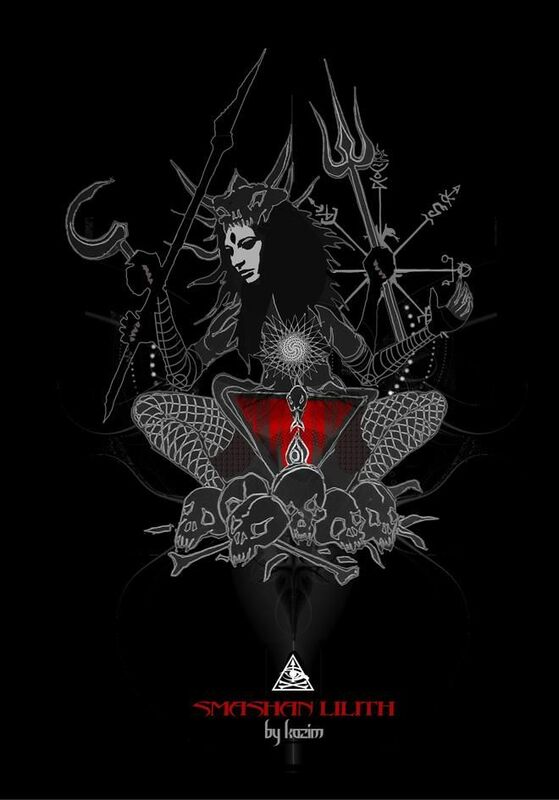 These themes of initiation and dismemberment naturally feature strongly in much of the material here, with devotees addressing Ereshkigal in particular as an initiatrix and spirit of transformation. Janet Munin, for example, takes the phrase “naked and bowed low” from The Descent of Inanna and slightly tweaks the interpretation of it, making it indicative of an act of humility and grace, rather than the result of being tortured and broken by the process of the underworld descent. The second selection of prayers addresses deities from across the Sumerian pantheon, with the chance for the attention to shift in several cases to the male of the species. Lee Harrington has a poem to each of Ereshkigal’s husbands: first with a call to Gugulanna, the bull of heaven, and then with a song addressed to Ereshkigal but sung by her second husband, Nergal. 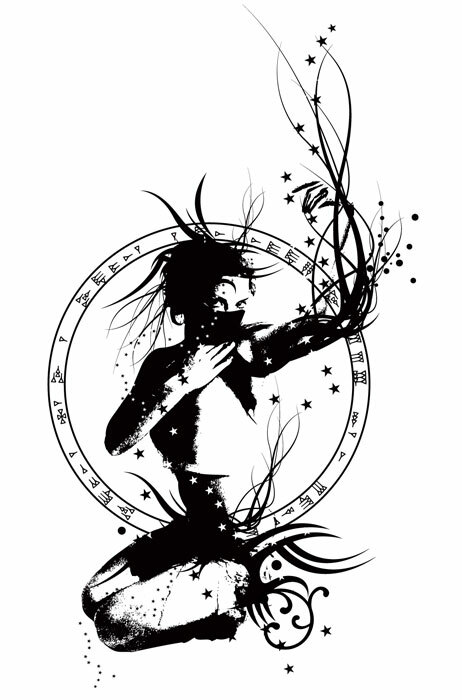 A similar approach is taken by Raven Kaldera in Neti, where the poem is directed towards Ereshkigal in the voice of her titular servant and gatekeeper. 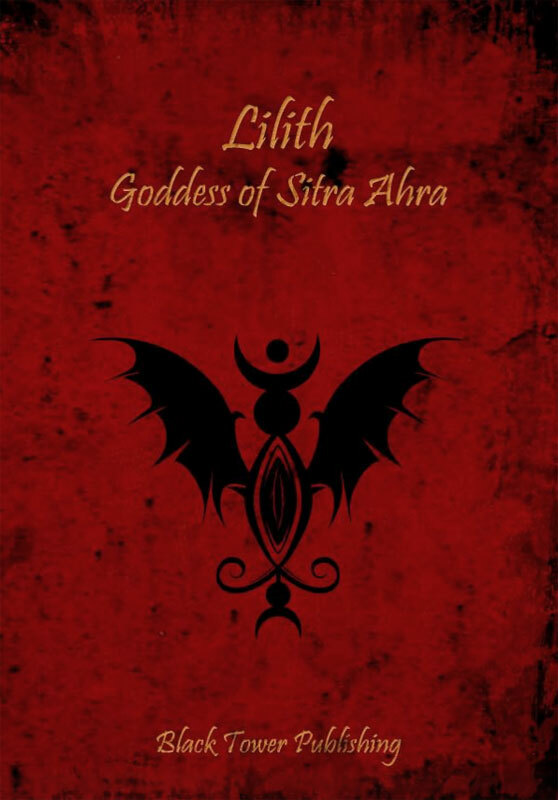 Amongst the goddesses, Kaldera celebrates the warrior Ninshubur, while Elizabeth Vongvisith and Anya Kless both explore the intersection of Sumerian and Judaism with paeans to Lilith. Tiamat also receives some attention with poems from Dee Bellwether, Kira R. and an anonymous invocation previously published in Asphodel’s Pagan Book of Hours. Bellwether’s For Tiamatu is particular striking with its stark iteration of occasionally alliterative words celebrating Tiamat as an almost anti-cosmic Queen of Unmaking. The final section of Into the Great Below features a relatively weighty five rituals for Inanna and Ereshkigal. Krasskova’s Dark Moon Rite of Ereshkigal is a lengthy, invocatory-heavy ritual that begins with quaternary calls, a call to the centre, and then an invocation to Ereshkigal herself. This is followed by an oracular portion and sequences involving a construction of a ritual box. Krasskova’s liturgy is well written, picturesque and evocative in its use of language; a quality that occurs in another of her rituals included here, The Sharing of the Me – a Ritual to the Goddess Inanna. Another lengthy rite is Kaldera’s The Descent of Inanna, which is exactly that, a ritual staging of the descent from the Enuma Elish in a mystery play read by two narrators. Unlike some devotionals from Asphodel, in which essays are combined with rituals and poetry, the content of Into the Great Below has a focus on the poetic, with nothing in the way of lengthy articles. This is, perhaps, to be expected given the dearth of existing written material on these subjects without wandering into territories of unverified personal gnosis or academic minutiae. Despite the range of contributors, there is a certain similarity of tone and themes, with a feeling that everyone is coming from a similar place in the interpretation of Inanna and Ereshkigal, and the descent narrative in particular. Into the Great Below runs to 125 perfect bound paperback pages, with type set in the usual clean and functional standard of Asphodel publications. Space seems to be the enemy as all empty areas are filled with my illustrations, or an assortment of various, inconsistently rendered, archaeological images.